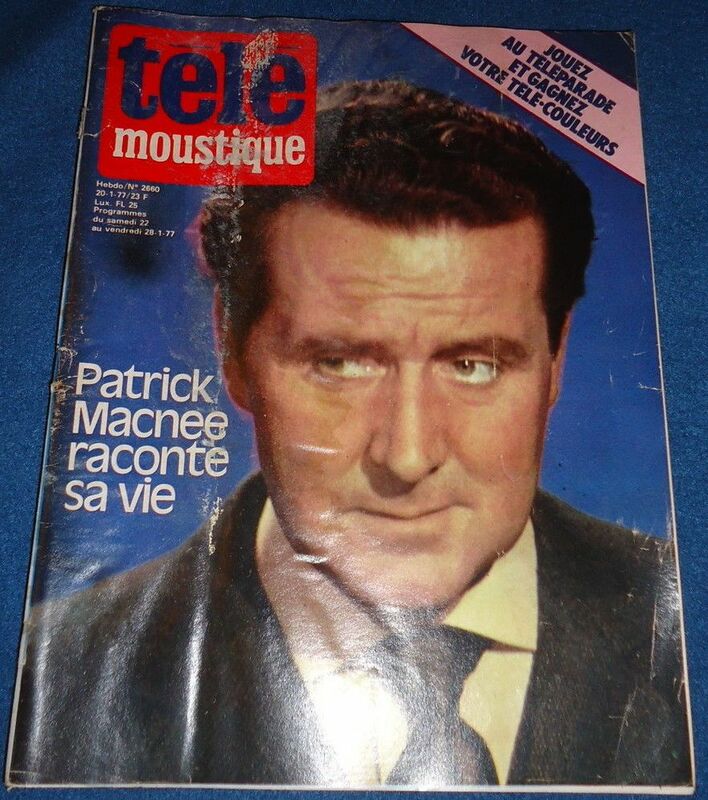 Portugal magazine "Antena" (November 1967). The latest issue of the British magazine "Infinity", dedicated to sci-fi movies and television series. Mark, I wish you will be satisfied with content this edition like a cover. 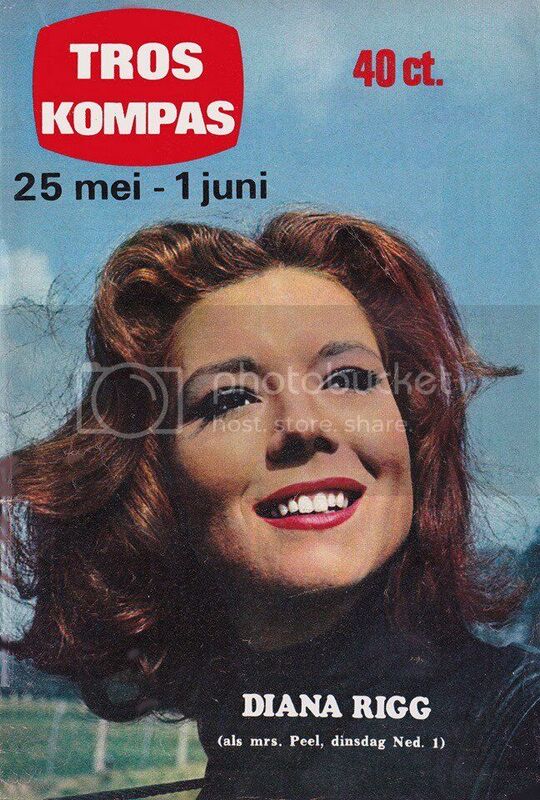 I like this cover too, it's a good idea to show besides Steed and Mrs. Peel on cover, the some famous Avengers villains. 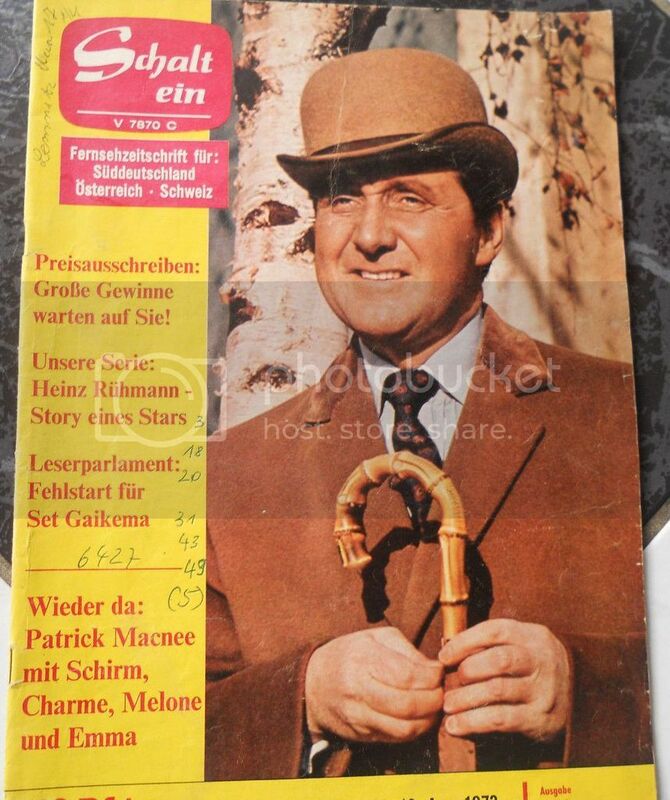 Earlier on the Internet was presented the similar magazines with the same image. Denis, is there some trouble with the site where you're storing the photos? I can't see them. Chris, is there a permanent of often problem with it for you, or a temporary one? At the moment the site where storing the photos works well. Looks as some kind of glitch as all images are presented from VK. I will post the images on this page from another source. 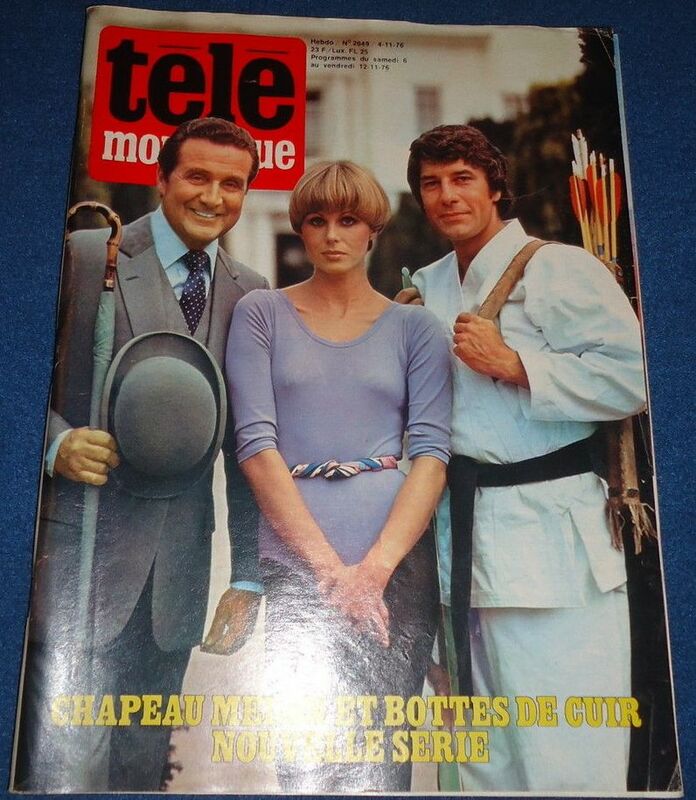 Chris, I posted the images for magazines Antena, Infinity, TV Times and TV Channels from other store - does it work for you now? Source: Facebook group "Chapeau melon et Bottes de cuir les 50 ans (The avengers 50 years)". Denis, I think it is a problem with the cloud mail.ru posts only; or can anybody else see the posts? No, I'm afraid I can't see them either. Bizarrely, the images are broken in Dennis's post of 29 December but they are visible (and apparently hosted elsewhere) within the quote in ischtar's 31 Dec reply. I uploaded it to my old Photobucket account, although I personally find this storage not very convenient. If there are any other images that I posted here and they are not visible, I’m ready to repost it from the Photobucket. The problem is that many foreign web storages do not work correctly or do not work at all in Russia. Fortunately, the Photobucket is OK, although if would I had deleted my old account, I would not use it (due to the fact that it is Pay, at least as I see it from Russia). thumb.cloud.mail.ru is blocked for me at work but not at home. imgur is good, you should investigate that - however, again, it's blocked by my workplace. Alas, Imgur is does not work for me. I tried different ways, but this just gives an error when registering. 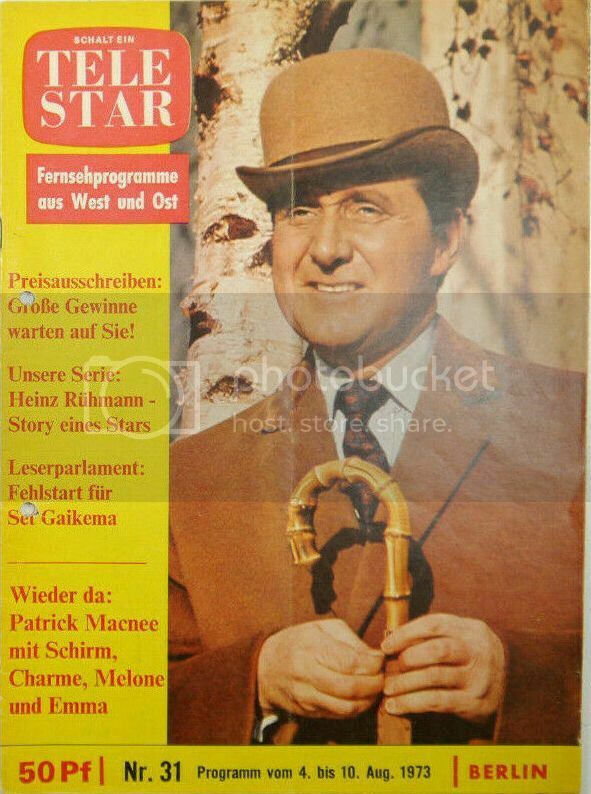 Just found German magazine Tele Star with Patrick Macnee on the cover, which is identical to one of the covers of German magazine Schalt ein.